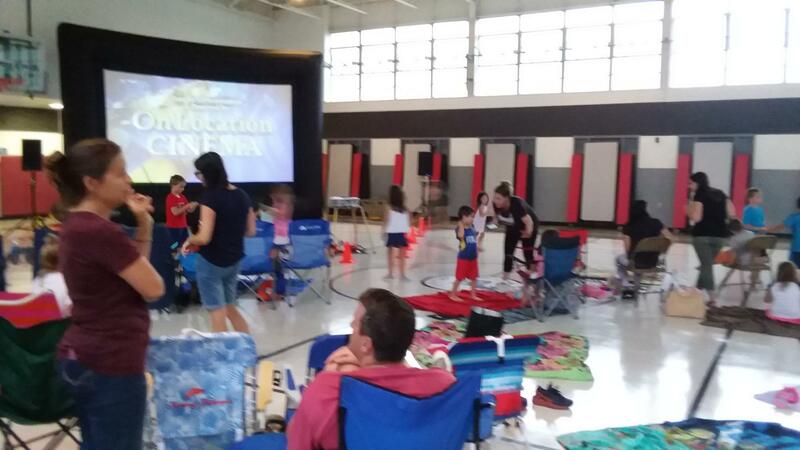 PTO / PTA / HSA " FAMILY MOVIE NIGHTS "
" "G I A N T 20' PICTURE"
Every family loves movies! Just throw down some blankets, pop LOTS of popcorn, sit back and watch as kids and their families connect with your school for a NIGHT OF MOVIE MAGIC! $650.00) (single feature, NO add ons) A charge for travel time above 50 miles portal to portal may apply.